I bought this pan to replace a Copperware scratched wok. Hopefully, this one will last longer than my Faberware copper one which was more expensive. Also to replace my very heavy Alclad wok. I love this pan! I ordered one for my daughter and one for a friend, they loved them also. Size is very nice and the easy clean up is welcome. I love this wok. It's my go-to for more than just stir-fry. Need to brown a roast before putting it in the crock pot? Perfect...and easy clean-up. I also have the 8", 10" and 12" skillets. I love them, too. I am going to order more of this product. I have given two sets of the skillets as house warming gifts. They loved them, too. What's not to love. Cooks without fat. Easy clean-up, oven safe, dishwasher safe. A must in my kitchen. 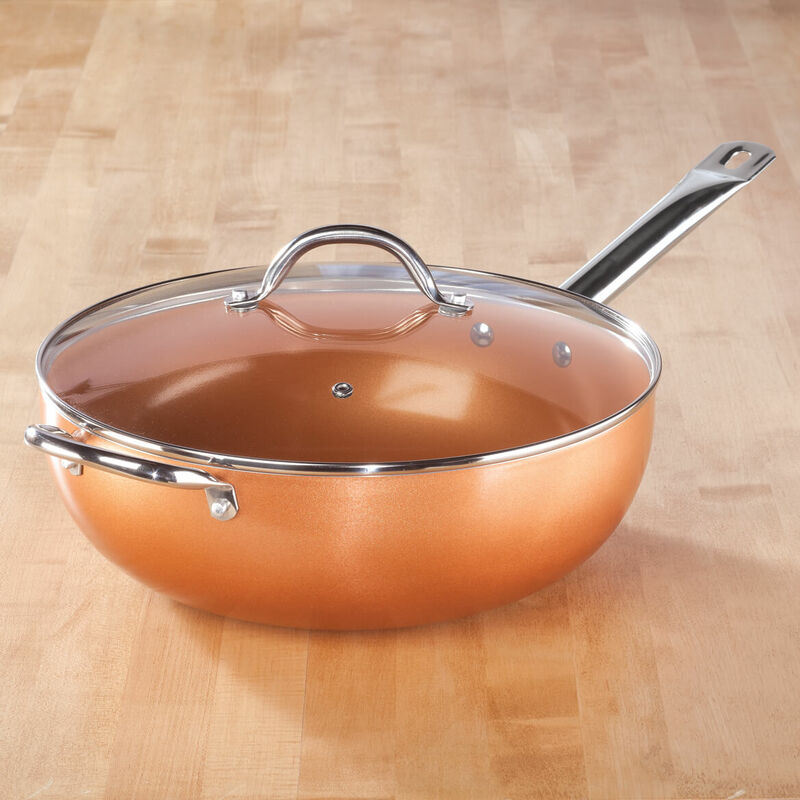 My husband is the cook and he wanted one of these new copper woks. Grandson and his new bride wanted it for their kitchen. 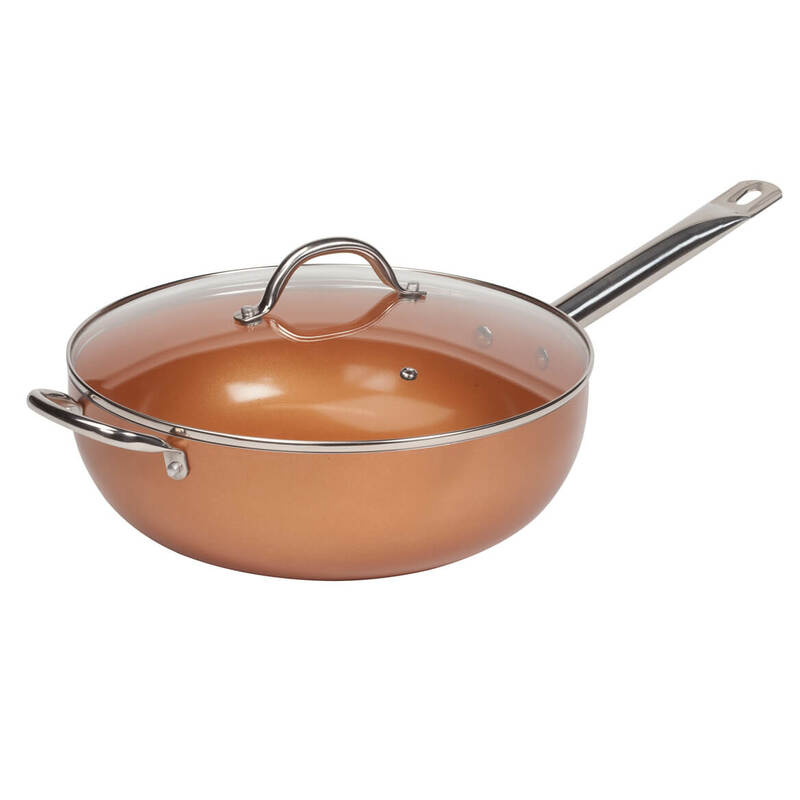 I have several sizes of the copper pans. I wanted a deeper pan for my large cooking days. I love the size of this !! For me! I need a new wok! Stir fry is my hubbys fav.